The problem with US military strategy is that it doesn’t fix any of the problems it’s setting out to address. It may be hard to believe now, but in 1970 the protest song “War,” sung by Edwin Starr, hit number one on the Billboard Hot 100 chart. That was at the height of the Vietnam antiwar movement and the song, written by Norman Whitfield and Barrett Strong, became something of a sensation. Even so many years later, who could forget its famed chorus? “War, what is it good for? Absolutely nothing.” Not me. And yet heartfelt as the song was then—“War, it ain’t nothing but a heartbreaker. War, it’s got one friend, that’s the undertaker…”—it has little resonance in America today. But here’s the strange thing: In a way its authors and singer could hardly have imagined, in a way we still can’t quite absorb, that chorus has proven eerily prophetic—in fact, accurate beyond measure in the most literal possible sense. War, what is it good for? Absolutely nothing. You could think of American war in the 21st century as an ongoing experiment in proving just that point. Looking back on almost 15 years in which the United States has been engaged in something like permanent war in the Greater Middle East and parts of Africa, one thing couldn’t be clearer: the planet’s sole superpower with a military funded and armed like none other and a “defense” budget larger than the next seven countries combined (three times as large as number two spender, China) has managed to accomplish—again, quite literally—absolutely nothing, or perhaps (if a slight rewrite of that classic song were allowed) less than nothing. Unless, of course, you consider an expanding series of failed states, spreading terror movements, wrecked cities, countries hemorrhaging refugees, and the like as accomplishments. In these years, no goal of Washington—not a single one—has been accomplished by war. 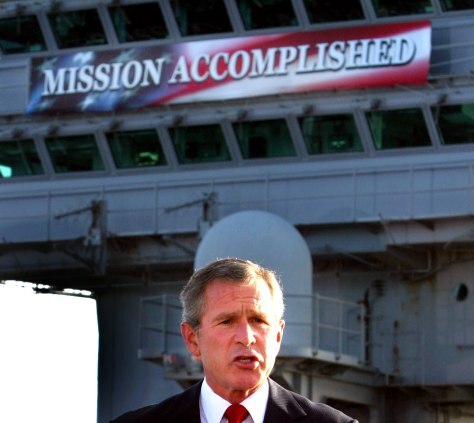 This has proven true even when, in the first flush of death and destruction, victory or at least success was hailed, as in Afghanistan in 2001 (“You helped Afghanistan liberate itself—for a second time,” Secretary of Defense Donald Rumsfeld to US Special Operations forces), Iraq in 2003 (“Mission accomplished”), or Libya in 2011 (“We came, we saw, he died,” Hillary Clinton on the death of autocrat Moammar El-Gadhafi). Of all forms of American military might in this period, none may have been more destructive or less effective than air power. US drones, for instance, have killed incessantly in these years, racking up thousands of dead Pakistanis, Afghans, Iraqis, Yemenis, Syrians, and others, including top terror leaders and their lieutenants as well as significant numbers of civilians and even children, and yet the movements they were sent to destroy from the top down have only proliferated. In a region in which those on the ground are quite literally helpless against air power, the US Air Force has been repeatedly loosed, from Afghanistan in 2001 to Syria and Iraq today, without challenge and with utter freedom of the skies. Yet, other than dead civilians and militants and a great deal of rubble, the long-term results have been remarkably pitiful. From all of this no conclusions ever seem to be drawn. Only last week, the Obama administration and the Pentagon again widened their air war against Islamic State militants (as they had for weeks been suggesting they would), striking a “suspected Islamic State training camp” in Libya and reportedly killing nearly 50 people, including two kidnapped Serbian embassy staff members and possibly “a militant connected to two deadly attacks last year in neighboring Tunisia.” Again, after almost 15 years of this, we know just where such “successes” lead: to even grimmer, more brutal, more effective terror movements. And yet, the military approach remains the American approach du jour on any day of the week, any month of the year, in the 21st century. Given that, sooner or later, the results of any experiment should be taken into account and actions recalibrated accordingly, here’s what’s curious. Just listen to the fervent pledges of the presidential candidates in the Republican debates to “rebuild” the US military and you’ll sense the immense pressure in Washington not to recalibrate anything. If you want the definition of a Trumpian bad deal, consider that all of them are eager to pour further staggering sums into preparing for future military endeavors not so different from the present ones. And don’t just blame the Republicans. Such behavior is now hardwired into Washington’s entire political class. The essential failure of air power in these years has yielded the F-35 Joint Strike Fighter, a plane once expected to cost in the $200 billion range whose price tag is now estimated at a trillion dollars or more over the course of its lifetime. It will be the most expensive weapons system in history. Air power’s powerlessness to achieve Washington’s ends has also yielded the newly unveiled Long-Range Strike Bomber for which the Pentagon has already made a down payment to Northrop Grumman of $55 billion. (Add in the usual future cost overruns and that sum is expected to crest the $100 billion mark long before the plane is actually built.) Or at the level of planetary destruction, consider the three-decade, trillion-dollar upgrading of the US nuclear arsenal now underway and scheduled to include, among other things, smaller, more accurate “smart” nukes—that is, first-use weaponry that might indeed be brought to future battlefields. That none of this fits our world of war today should be—but isn’t—obvious, at least in Washington. In 2016, not only has military action of just about any sort been decoupled from success of just about any sort, but the unbelievably profitable system of weapons production woven into the fabric of the capital, the political process, and the country has also been detached from the results of war; the worse we do militarily, that is, the more frenetically and expensively we build. Count on this: were the United States now triumphant in an orderly Greater Middle East, the same Republican candidates would still be calling for a build-up of the US military to maintain our victorious stance globally. If you want proof of this, you need only step into your time machine and travel back a quarter-century to the moment the Soviet Union collapsed. Thought of a certain way, that should have been the finale for a long history of arms races among competing great powers. What seemed like the last arms race of all between the two superpowers of the Cold War, the one that brought the planet to the brink of annihilation, had just ended. When the Soviet Union imploded and Washington dissolved in a riot of shock and triumphalism, only one imperial force—“the sole superpower”—remained. And yet, despite a brief flurry of talk about Americans harvesting a “peace dividend” in a world bereft of major enemies, what continued to be harvested were new weapons systems. An arms race of one rolled right along. The Russians are obviously another matter and they alone at this moment seem to be making an imperial success of warfare—translating, that is, war making into power, prestige, and dominance. In Syria (and possibly also Ukraine), think of that country as experiencing its version of America’s December 2001 Afghanistan or April 2003 Iraq moments, but don’t for a second imagine that it will last. The Russians in Syria have essentially followed the path Washington pioneered in this century, loosing air power, advisers, and proxy forces on an embattled country. Their bombing campaign and that of the allied Syrian air force have been doing in spades what air power generally does: blow away stuff on the ground, including hospitals, schools, and the like. Even if the Islamic State and other rebel and insurgent groups, ranging from those backed by the United States to those linked to Al Qaeda, can be “defeated,” what is Russia likely to inherit in the Middle East? 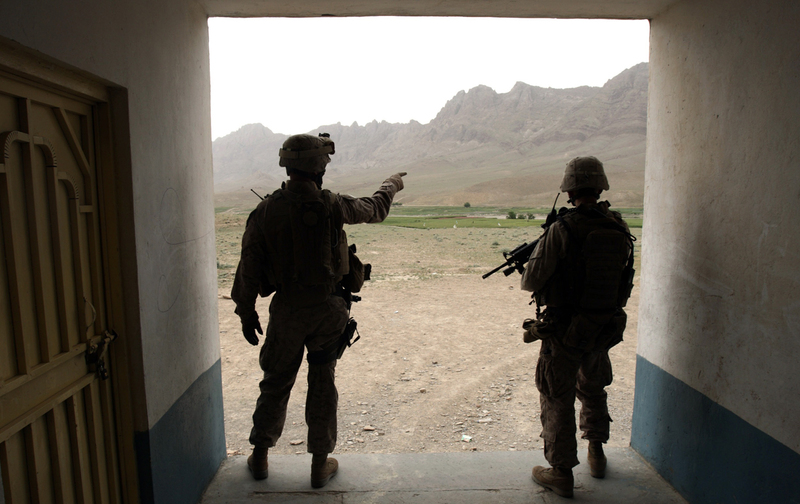 What, in far better circumstances, did the United States inherit in Afghanistan or Iraq? What horrendous new movements will be born from such a “victory”? It’s a nightmare just to think about. Keep in mind as well that, unlike the United States, Vladimir Putin’s Russia is no superpower. Despite its superpower-style nuclear arsenal and its great power-ish military, it’s a rickety energy state shaken by bargain-basement oil prices. Economically, it doesn’t have the luxury of waste that the United States has when it comes to military experimentation. Generally speaking, in these last years, war has meant destruction and nothing but destruction. It’s true that, from the point of view of movements like Al Qaeda and the Islamic State, the chaos of great power war is a godsend. Even if such groups never win a victory in the traditional sense (as the Islamic State has), they can’t lose, no matter how many of their leaders and followers are wiped out. In the same way, no matter how many immediate successes Washington has in pursuit of its war on terror, it can’t win (and in the end neither, I suspect, can Russia). Relatively early in the post-9/11 presidency of George W. Bush, it became apparent that his top officials had confused military power with power itself. They had come to venerate force and its possible uses in a way that only men who had never been to war possibly could. (Secretary of State Colin Powell was the sole exception to this rule of thumb.) On the US military, they were fundamentalists and true believers, convinced that unleashing its uniquely destructive capabilities would open the royal road to control of the Greater Middle East and possibly the planet as well. Ever since then, no small thanks to the military-industrial complex, military power has remained the option of choice even when it became clear that it could not produce a minimalist version of what the Bush crew hoped for. Consider it something of an irony, then, that the United States may still be the lone superpower on the planet. In a period when military power of the first order doesn’t seem to translate into a thing of value, American economic (and cultural) power still does. The realm of the dollar, not the F-35, still rules the planet. So here’s a thought for the songwriters among you: Could it be that war has in the most literal sense outlived its usefulness, at least for the United States? Could it be that the nature of war—possibly any war, but certainly the highly mechanized, high-tech, top-dollar form that the United States fights—is now all unintended and no intended consequences? Do we need another Edwin Starr singing a new song about what war isn’t good for, but with the same punch line?